Each year Catholics and Christians observe the 40 days before Easter as lent, a time of sacrifice and preparation. Many observe the giving up of something valuable to them. 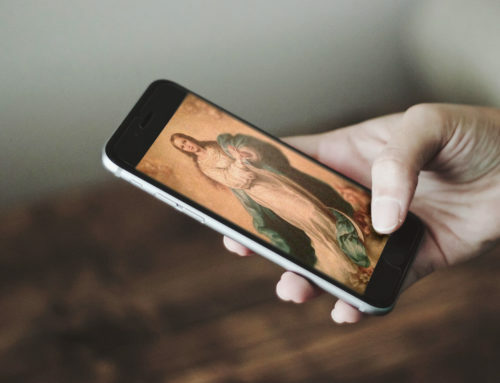 We have a great excuse for you not to give up your iPhone or iPad by collecting these apps that will help, encourage, motivate, and of course inspire you to deeper prayer. We all know the things that make us happy, but we don’t always do them. Lent is an opportunity to change that. This year we invite you to do something different. It’s time to think outside the bowl with the CRS Rice Bowl app. Bring Lent into your life, online, offline, anytime, anywhere. Tap into a rich spiritual experience and make the 40 days of Lent ones that will change your life — and the world. Join the conversation this Lent with new, integrated social media features. Receive daily reflections on your device, set and track progress towards a personal Lenten goal, use simple, meatless recipes to prepare and share on Fridays throughout Lent and read and watch stories of hope from people around the world.